For several decades, from the 1770s onwards, one family provided the essential services of blacksmith to the small Norfolk village of Letheringsett. This was the Jex family. The family seem to have been well-established in Norfolk as prosperous tradesmen. Some even reached the stage of gaining the right to vote, given Norfolk’s unusually wide franchise for the mercantile classes. Blacksmiths were important to any town or village. Besides the constant demand for shoes for riding, carriage and all kinds of working horses, blacksmiths were metalworkers able to turn their hands to anything from ornamental ironwork to putting tyres on wheels or hoops on barrels. However, one of the Jex family of blacksmiths in Letheringsett, Johnson Jex, became locally, even nationally, famous. Though largely unschooled, from his earliest days he showed a remarkable talent for anything requiring mechanical or small-scale engineering skills. Not only could he turn his hand to almost any kind of work in metal, large or small, he even designed and constructed his own machine-tools to do the work. One of these, a peculiar design of lathe, is today in the Science Museum in London. Johnson Jex was the son of William Jex, who was a blacksmith living in the village of Billingford, Norfolk. He was born in or about 1778 and showed very early on his fascination with anything mechanical. One story tells how, when was he was about 5 years old, his grandmother at Cley-next-the-Sea left him alone in a room. When she returned, the boy had used an old knife to remove the lock from a drawer and disassemble it to see what was inside. School bored him and he left without even being able to read. The cause was his constant absenteeism. He claimed that although he was sent off to school for years, he never spent three months inside the classroom in his life. Instead, he spent his time staring in the the shop window of a Mr Mayes, a watchmaker of Fousham. Later in his life, he could read and write to a high standard, but in this, as in so much else, he was entirely self-taught. Eventually, he persuaded Mr Mayes to show him the workings of a clock, without allowing him to touch it. Then he claimed he could make one himself. It took him about a month, but he managed it. That set the pattern for the rest of his life. He showed little or no interest in established methods, preferring to invent his own. Indeed, this tendency went so far that he often designed and made the tools he would need – even complex ones – before making the item itself. Another of Jex’s eccentricities was his complete lack of interest in exploiting his inventions and constructions for any gain. He was quite likely to undertake some challenge, invent an entirely novel approach to it, construct a final version to prove his approach, then lose interest completely and move on to the next puzzle to be solved. One story suggests that, having been persuaded to demonstrate his improved seed-drill at Holkham Sheep Fair, he was so disappointed by the lack of interest shown in it by local farmers – few of whom could probably even understand how it worked – that he vowed never to make any of his inventions public again. That’s sad, in many ways, because many of his inventions seem to have been way ahead of their time. He made a unique device for measuring distances with close accuracy, tools for cutting gear wheels, lathes accurate to minute tolerances, a vastly improved seed-drill, even an automatic ventilator, linked to temperature, for a greenhouse at his home where he grew pineapples. 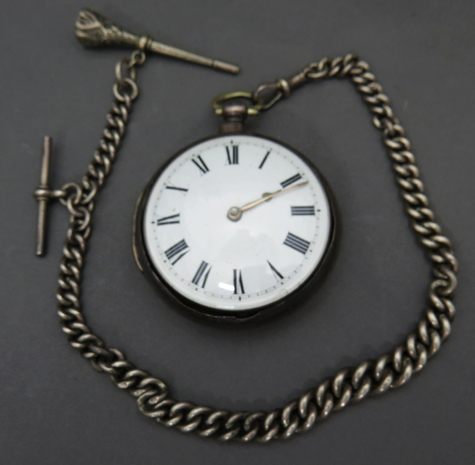 Jex worked in brass, iron and precious metals, in glass, and using precious stones for watch movements. He designed and made telescopes and other astronomical instruments, thermometers, barometers, gun barrels and even early electrical machines. This time piece made from end to end. A principle reason for Jex’s obscurity lay in his stubborn refusal to move away from Letheringsett, near Holt in north Norfolk. 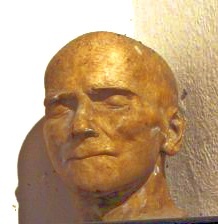 Once he had moved to this village, in about 1802, he remained there until his death. He never married, but lived with his mother, to whom he was totally devoted. He also continued his trade as blacksmith, though he seems to have handed much of the routine and heavy work over to employees in his later years. We would know little of Johnson Jex today had it not been for the admiration of the Cozens-Hardy family, descendants of the Hardy family of brewers in the village. They keep his memory alive, even after the inscription on his tomb was more or less worn away by tourists making rubbings. Mechanical skill and general knowledge. He lived and died a scientific anchorite. Bird, Margaret, ed. The Diary of Mary Hardy 1773–1809 (4 vols.). United Kingdom: Burnham Press, 2013. Cozens-Hardy, Basil. 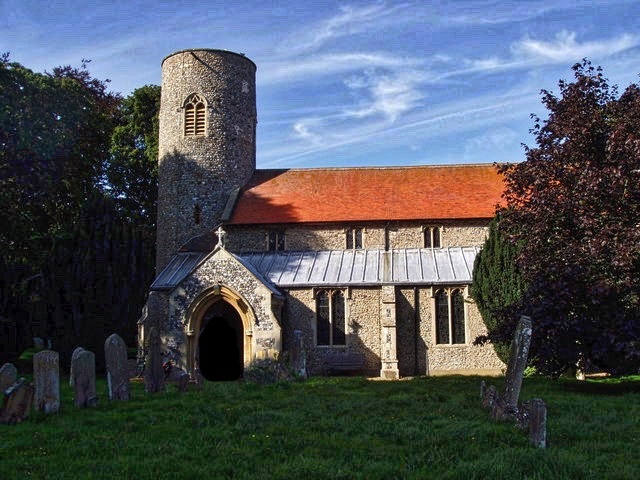 The History of Letheringsett in the County of Norfolk. Norwich: Jarrold & Sons Ltd, 1960. Dunst, David W. Letheringsett: The Industrial History of a Norfolk Village. Norwich: Norfolk Industrial Archaeological Society , 2013. What a fascinating character! He’d be great for a book! I’m tempted, but have too many other things on the go!